Sixty-eight round diamonds, at approximately 1.64 carats total weight, provide ample brilliance to this halo engagement ring. Complete this setting with the 1.50 carat diamond of your choice for a stunning engagement ring that will be adored for a lifetime. 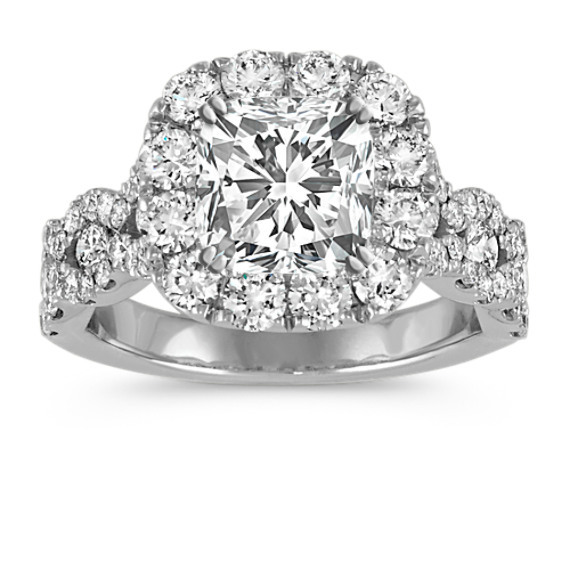 Popular center diamond choices for this setting include cushion cut, round, and princess cut. Each diamond in this 5mm ring setting has been hand-selected for exceptional brilliance and pavé-set in quality 14 karat white gold. Part of our Hollywood Glam Collection.